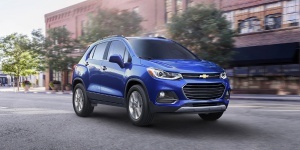 Powered by a 4-cylinder turbo engine, the Chevy Trax offers seating for five in a compact but relatively spacious bodyshell and features optional AWD. For 2019, the Chevrolet Trax carries over virtually unchanged. Get the best price for the Chevrolet Trax of your choice from a dealer in your area. Request a price quote now.